It’s a common bridal conundrum: You want to accessorize your gown with jewelry, but you’re worried about going overboard. After all, you don’t want to eclipse your beautifully bejeweled bodice with a heavy choker or pendant. Neither should you overload your crystal-encrusted updo with an elaborate pair of chandelier earrings. The perfect solution? A statement bridal bracelet. All you have to decide is what you want your wedding-day wrist adornment to say. 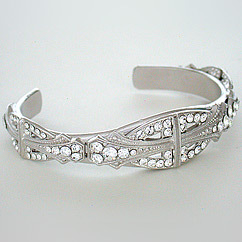 For modern glamour with vintage touch, nothing holds a candle to a jeweled cuff. Today’s most stylish brides are sporting thick cuffs that get their delicacy from intricate filigree work and pavé gems, which catch the light magnificently. 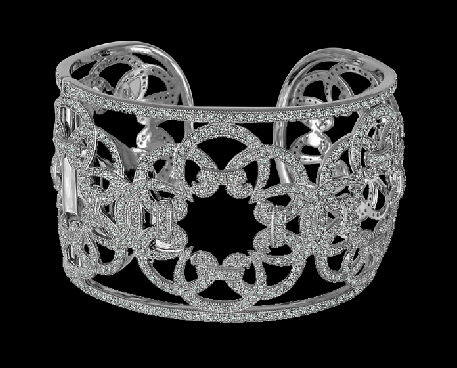 Meanwhile, the Art Deco elegance of the Mystery Liner Cuff by designer Debra Moreland for Paris is perfect for slender wrists, refined gowns and white silk or satin. 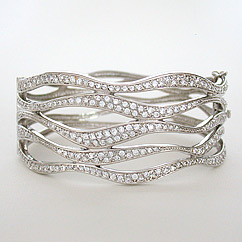 Also in vogue is the jeweled bangle, worn either alone or in groups of three (or more!). Simple, sumptuous, spectacular—that’s this white gold, white diamond bangle by Simon G (style MB 1432), available from Thomas Markle Jewelers. For the contemporary, less traditional bride, there is the cubic-zirconia-accented, conversation-worthy Wavey Bangle, which gives the impression of multiple bangles in a single piece. 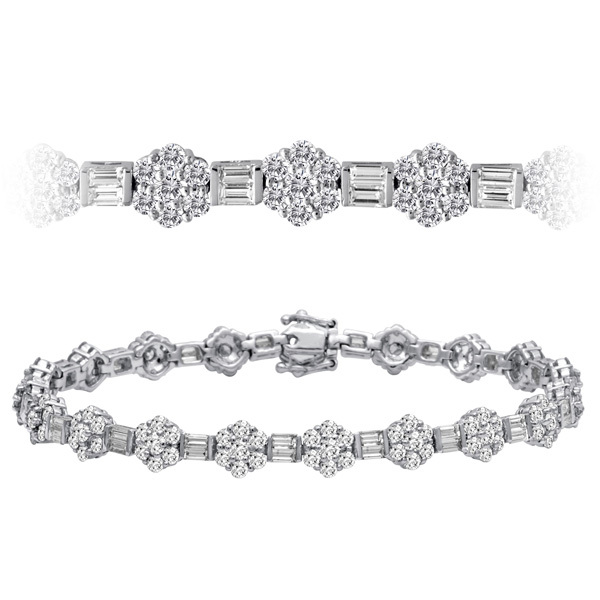 And, for our final pick, we are fans of this absolutely unforgettable bracelet from Select Jewelers, a traditional style that combines clusters of round diamonds with fabulous baguettes in a piece that will make a treasured heirloom as well as a gorgeous gown accessory.